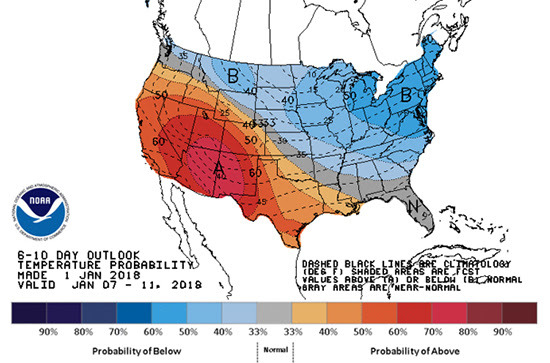 This week’s mostly neutral to slightly bearish withdrawal of 81 Bcf came as no surprise with the majority of the Lower 48 realizing warmer weather patterns during the reporting week ending January 11th. The last two weeks have provided relief for deficits against last year’s values, but the five-year average deficit is still holding over 11% currently. 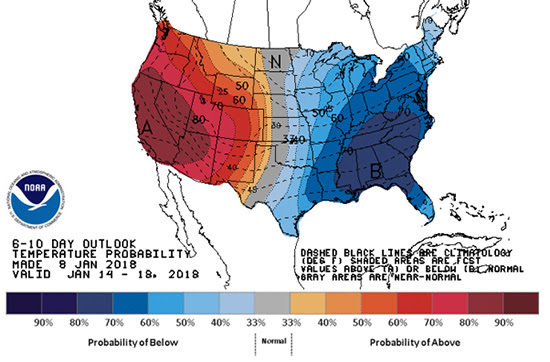 That being said, February and March contracts are still vulnerable to the potential of nearly 20 cent swings should applicable weather arise, and these next few weeks heading into February are expected to bring exactly that. 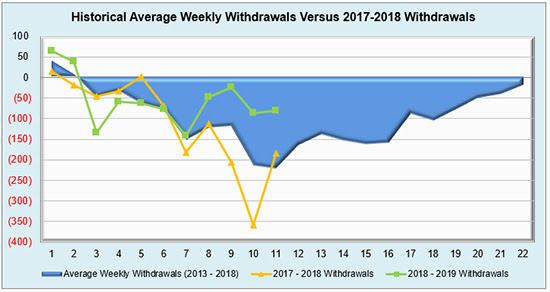 Extended polar blasts are in the forecast through the end of January, possible even well in next month, so the recent easing of withdrawals we’ve seen that have provided some prompt month stability on NYMEX futures could be a moot point. 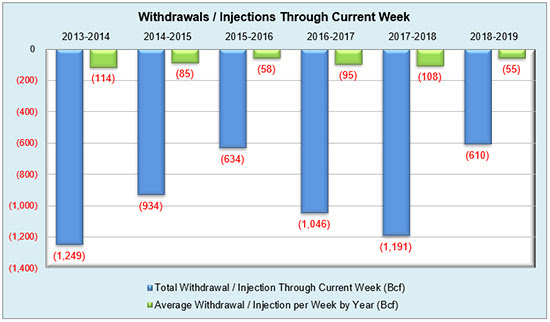 Depending on the severity, longevity, and chance of freeze-offs, we may yet again reach $4/MMBtu gas like we saw in November of 2018. 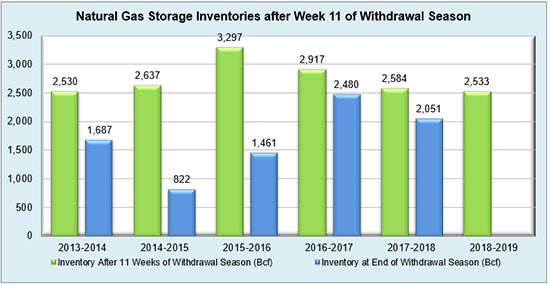 The EIA storage report’s effect on futures, at least at this current juncture, is continuing to be usurped by weather, and that doesn’t seem to be stopping anytime soon. 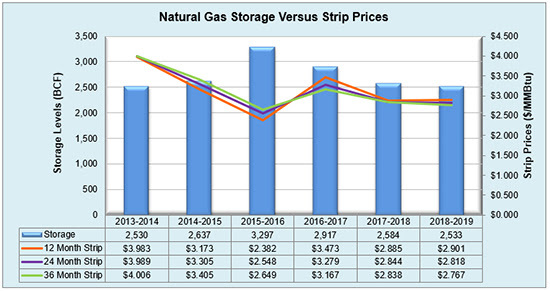 Working natural gas in storage currently stands at 2,533 Bcf, which is 77 Bcf (3.0%) lower than this time last year and 327 Bcf (11.4%) lower than the five-year average. The February 2019 NYMEX Futures price began the day around $3.57/MMBtu prior to the report’s release, but has since dropped to $3.42/MMBtu after the report was posted.